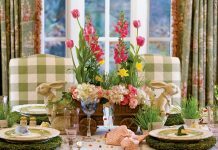 Let the season’s bounty inspire a Thanksgiving table filled with natural elements and rustic accents. Pay homage to autumn’s abundant harvest with nods to the natural elements that characterize this time of year. 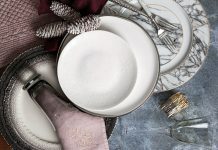 Include favorite fall icons by incorporating details like napkin ties with small pewter acorns and Johnson Brothers’ Barnyard King china, which bears regal turkeys. 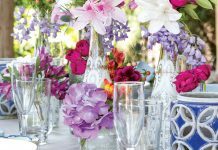 Sophisticated glassware, shiny-rimmed chargers, and intricately carved wooden place mats reinforce a palette rooted in bronze. 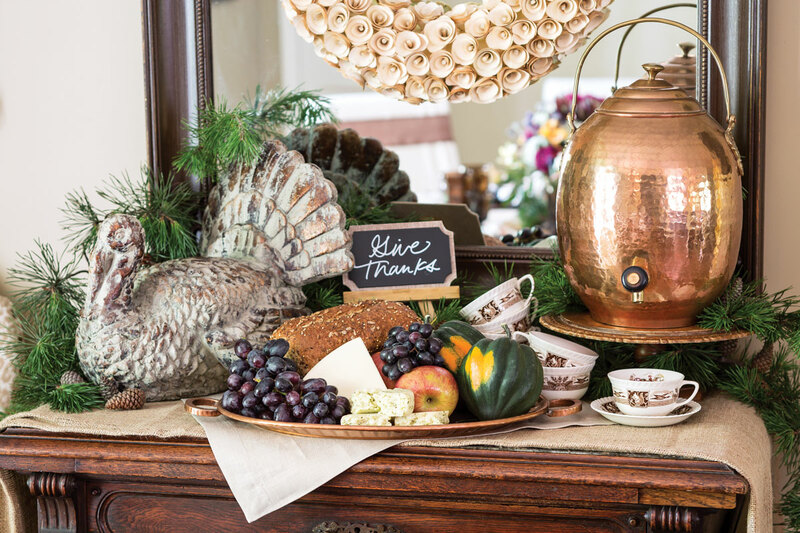 Handwritten chalkboard place cards infuse the scene with a thoughtful spirit of thanksgiving. of the harvest. Burnished hues and rustic materials add to the authenticity and understated elegance of the autumnal setting. 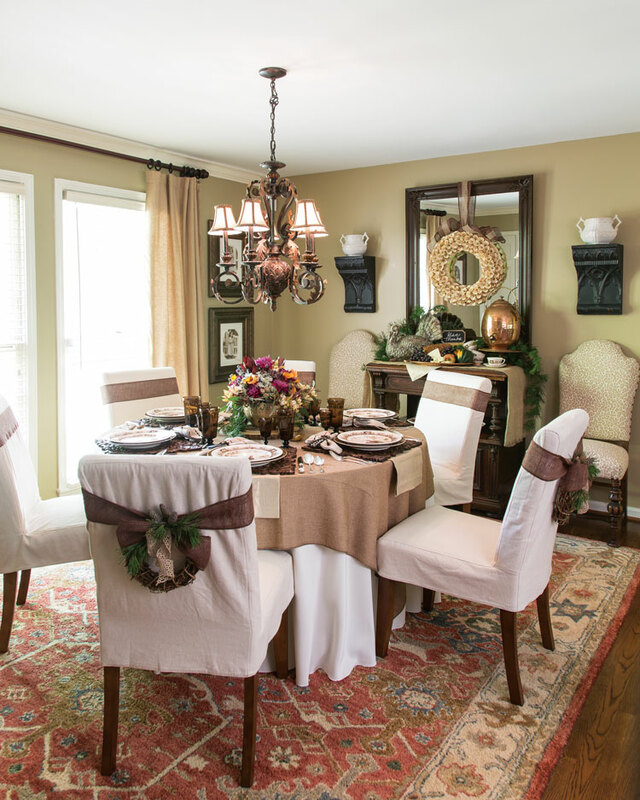 Notes of bronze around the room beckon to the beauty of the season.